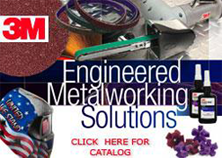 Uses 3M™ coated abrasive and Scotch-Brite™ belts for a wide variety of metalworking applications. Uses belt size 1/8 inch -3/4 inch - 18 inch & 24 inch. Steel drive wheel attached. Rubber drive wheel included. .6hp, 22,000 rpm, standard arm, PN28368, included. 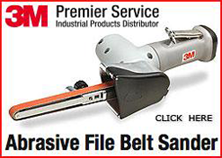 24 inch belts require 3M™ File Belt Sander Extension. 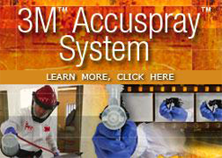 Call your service representative for a demonstration today! offer you a technically oriented sales staff and local inventory to support your operations.